This city / beach hotel has a total of 220 rooms spread over 5 floors. It has an air-conditioned lobby with lifts and a reception open 24 hours a day, which offers currency exchange facility, safety boxes and a cloakroom. In Culinary, a café, a bar and a restaurant with highchairs for children. It also has available Internet connection, WI-FI zone, a nightclub and a bicycle storage facility. The charming rooms are tastefully decorated, have a bathroom with shower and bathtub. They are also equipped with direct dial telephone, TV satellite or cable, radio and minibar. All rooms have a double bed, heating, hire safe and a balcony or terrace. 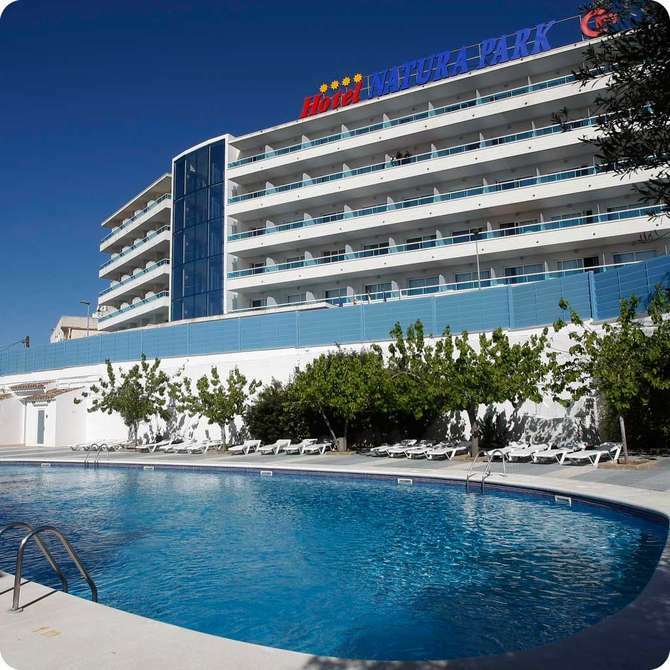 This hotel, ideal for families, is located 50 meters from the city center and 100 meters from the beach. Nearby (100 m), there are numerous shops and public transport links. The station is located about 800 m away. In addition, 40 km from the airport is Reus and Barcelona is about 60 km. Those traveling on business can make a use of conference rooms. It also takes into account the smallest for who there is a playground. To complete the services, there is at your disposal a laundry room. Car can be parked in the garage or in the hotel car park.